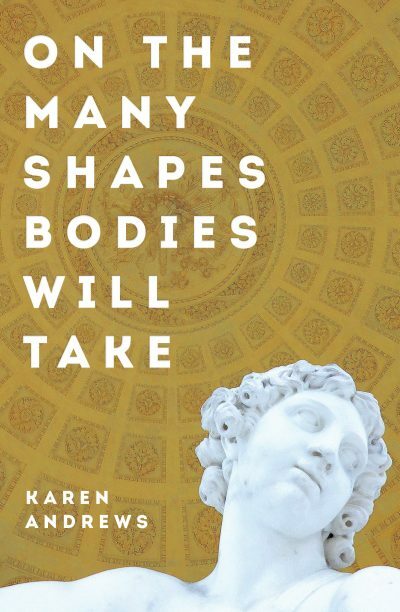 Karen Andrews’ reputation as a writer, editor and publisher precedes her, and this slim volume of poetry tackles the course of a life with such tenderness and grace that you could be tricked into thinking it was easy. The themes, however, are not. From schoolyard days when the anxiety of hide-and-seek leaves a susceptible child feeling abandoned, to the giddy thrill of first-time travel, the shape of the narrative changes abruptly when its subject experiences devastating grief and loss. For Andrews, language itself is a body, and the many shapes it takes throughout this book reflect not just the title but a core belief that language can help us identify what is true, essential and urgent. There are lighter poems here, too; lines that skip off the page and prompt a dry chuckle. In ‘Knives and Scissors’, Andrews bluntly reminds us that unsharpened implements are as useless as a dulled mind, and ‘Stupidity in the Suburbs’ provides a fantastically caustic peek at a writers’ event where the attendees are mainly recognisable for their remarkable ordinariness. Thought-provoking, poignant and powerfully real, this collection of poetry is a stunning journey through love, loss and language that demands a second reading.